About Us | Accreditation Services Inc.
ASI consultants are health care professionals specializing in ambulatory heath care settings and whose primary focus is helping health care organizations prepare for licensure, accreditation and Medicare certification. ASI consultants have backgrounds in nursing, ambulatory surgery center administration, management and development. 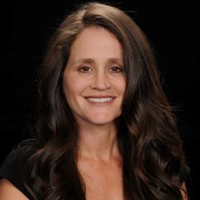 Tamar Glaser, RN, is the Principal Consultant and Founder of ASI. Tamar started ASI in 2000 and has developed an in depth involvement with development efforts in multiple states. Tamar’s primary experience began as an OR nurse and Director of Nursing in the ambulatory surgery center arena and also has several years experience in clinical nursing. She is also an accreditation surveyor who is familiar and up-to-date with Medicare and Accreditation standards and methods of preparation for on-site surveys. Heidi Linscomb, VP of Operations, has been with ASI for over eight years and oversees the daily operations involving all aspects of facility accreditation for ASI clients. 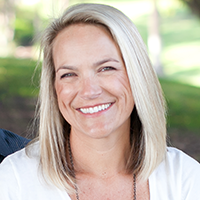 Prior to joining ASI, Heidi was the administrator for a private practice physician’s office and adjacent ambulatory surgery center where she gained 15+ years of experience in the field of healthcare management. Molly Dragich, Accreditation Coordinator, has been with ASI for over five years. Molly specializes in physician and employee credentialing and assists clients with this as well as documentation support throughout the accreditation preparation process. 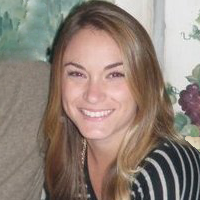 Molly also takes the lead on application preparation for clients and assists with the daily operations at ASI. At ASI, taking pride in what we do and the people we serve is how we define ourselves. Our mission is to continuously and successfully help our clients achieve success with accreditation. We specialize in providing ASCs and OBSCs quality development, management and consulting services. Our mission is to provide the best possible service, support, at the lowest possible cost, and with the highest level of quality attainable. Client satisfaction is of primary concern and you can always be assured that ASI will always meet, if not exceed, your expectations. We excel at fast turnaround without sacrificing quality. ASI stands by these core values when working with our clients.